The Toronto Community Benefits Network (TCBN) has built a strong community-labour partnership with a support base of workforce development agencies, learning institutions and funders. Collectively, TCBN are having impact on how the development process works, guided by the principles of the foundation document crafted by their members and supporters. In it, TCBN envision Toronto as an inclusive, thriving city in which all residents have equitable opportunities to contribute to healthy communities and a prospering economy. The expansion of transit now happening in Toronto will result in opportunities for good jobs and create markets for new businesses. It will also set the conditions for economic growth and intensification of urban areas around a network of mobility hubs. TCBN believes that all Torontonians should have access to these opportunities stemming from infrastructure investments. The following resources from the TCBN lay the context for the community-labour partnership that has been built. The Foundation Document states TCBN's vision, commitment and objectives for community benefits agreements and guides the TCBN's efforts. It originated from a weekend workshop held by the TCBN in April 2013 attended by more than 40 community groups, unions and workforce development agencies. An update was recently done to reflect our three years of practice. Member groups declare support of their home organization for the Foundation Document as part of joining the membership in TCBN. 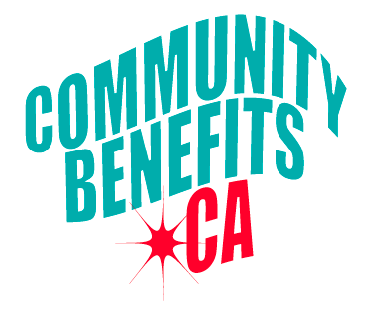 Following discussions between TCBN and Metrolinx on our Foundation Document, the Metrolinx Board of Directors approved this report from senior staff on community benefits. It states the commitment that "Metrolinx supports the concept of building CBAs into our major infrastructure projects." The Board also approved the motion that Metrolinx is to "work with the TCBN to develop a CBA for the Eglinton Crosstown line." Getting expectations set into the tendering process for delivering on community benefits presented a considerable challenge. Without this, it would be "business as usual" as the project moved toward implementation and there would be little leverage remaining to gain access to jobs, economic opportunities or locally defined improvements. TCBN was able to negotiate Community Benefits textwith Metrolinx that was included in the RFP that was issued December 2013. A summary of Crosslinx Transit Solutions (CTS) commitments to a Community Benefits Program submitted as part of its bid for the Eglinton Crosstown line.